People know they pay income tax and so the headline figures need to be progressive, but few pay attention to the detail, and special interest groups (such as the well off and their professional advisers) can craft the details to suit themselves. I always find myself heading down rabbit holes at this stage of preparation: so much interesting stuff, old and new, to read. 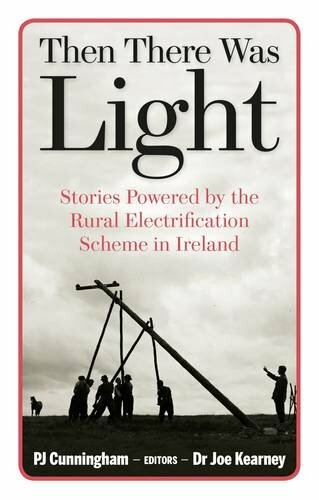 I devoured Then There Was Light: Stories Powered by the Rural Electrification Scheme in Ireland on my train journey back from the Bristol Festival of Economics yesterday. It’s a delightful collection of reminiscences about this scheme taking electrification to the countryside (ie most of Ireland) during the 1940s and into the 1950s. In fact, coverage only reached 100% of all the remote islands in 2000, and some hamlets were eventually depopulated as electricity never got to them. The book is a reminder of what a poor and agrarian country Ireland was until, well EU accession really. The essays by men who worked digging post holes and driving trucks often start with the relief they felt on getting, not only a job, but one for a government body paying decent wages. Being hired for the work changed their lives. Most are written by people who spent at least part of their childhood in darkness lit only by candles and paraffin lamps, with mothers doing all the laundy by hand. One writer calls the scheme one of the most transformative events in Ireland’s 20th century history as a nation, and by the end of the book, this doesn’t seem like hyperbole. Above all, the book is a reminder that all technology is social. Not only do new technologies need complementary investments – households paying for their internal wiring and switches, or street lights, for example – people have to be able to see the benefits as well as the costs (faster milking, no more washing by hand), and these often need demonstrating in practice before they are believed. Electricity in particular is also a social technology, involving collective decisions to create and sustain the incentives to make it function. The investments are long-term, they change places dramatically; and although the technology is now old, it is both essential and dangerous. So it is that many countries still cannot provide a consistent universal electricity supply and even advanced economies experience power cuts and underinvestment. If western political systems lose their ability to create consensus and collective, long-term action there will be many bad consequences but one of them might well be disrupted electricity supplies. This is not alarmist: I spent chunks of my teenage years doing homework by candlelight too. We had the power stations and the wires, but not the social and political infrastructure in the years of unrest and strikes in the 1970s. As it happened, I read Minxin Pei’s China’s Crony Capitalism in the couple of days after I’d written this article about the importance of property rights in the Financial Times. In this interesting short book, Pei links the emergence of the rampant corruption in today’s China to “partial and incremental reforms of property rights associated with nominally state owned assets in the post-Tiananmen era.” These changes decentralized control over the assets to regional and local officials, without clarifying the ownership rights. 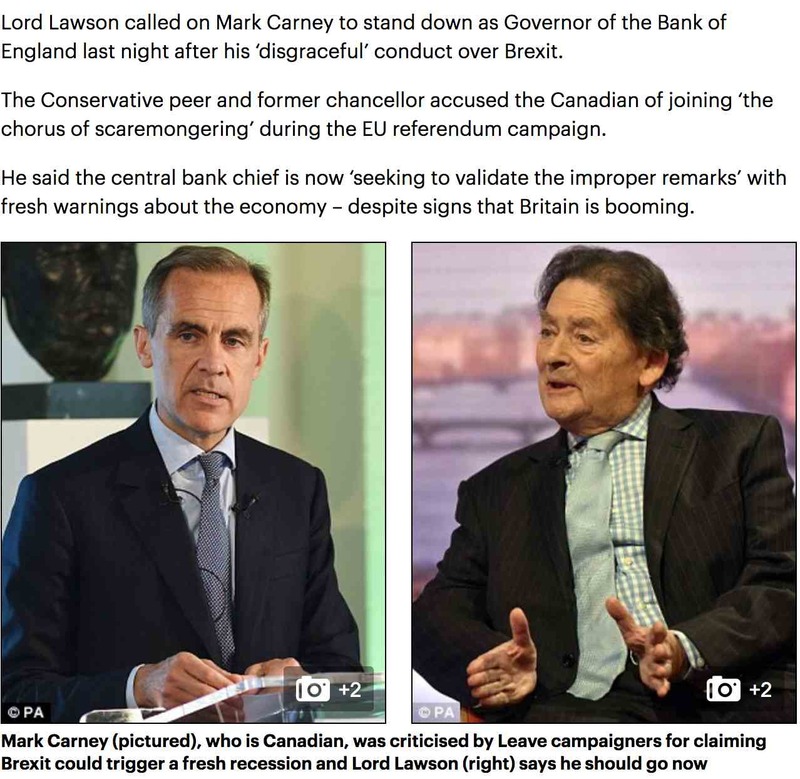 The incentive was there, from the early 1990s, to exploit the lack of clarity. At about the same time, a political decentralization created the opportunity. The appointment system went from one where senior officials appointed people one and two ranks down, to one where each layer appointed the next layer down. A market for patronage emerged, which encouraged corruption because officials needed deals with private business to make the money to pay for their jobs. Finally, a fiscal reform enabled local governments to keep the proceeds from land sales while re-centralizing tax revenues to Beijing. 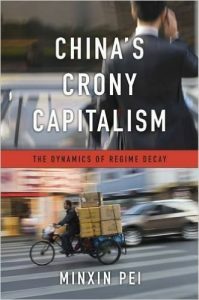 The book concludes: “It is inconceivable that the CCP can reform the political and economic institutions of crony capitalism because these are the very foundations of the regimes monopoly of power.” Even if the corrupt authoritarian regime were to fall, the book argues, liberal democracy would not be the outcome. Something more like Russia’s kleptocracy would emerge. Or will, rather. “The fragility of the institutions of the party state … raies fears that even modest reform efforts could unleash a revolution. The prospect of genuine market-oriented reform is equally unpromising because such a change would eliminate the rents for the ruling autocratic elites.” Any kind of change seems to spell collapse. In another coincidence, as I finished this book, the FT’s Jamil Anderlini (author of a brilliant e-book about the rise and fall of Bo Xilai) published a big feature on neo-Maoism in China, which he portrays as am anti-elite, anti-inequality, populist movement in the same spirit as Trumpism, Brexiteering and right-wing and left-wing populism around the continent. Sobering stuff. The book has chapters providing a biography and a general overview, and then several looking at the applications of Coaseian thinking in different areas such as water, environmental protection, public goods provision, financial markets and even the sharing economy. It starts with the Coase theorem: that when property rights are clearly assigned and there are no transactions costs (such as those involved in acquiring information, negotiating, monitoring compliance etc), then there are no externalities leading to a divergence between private and social costs: the parties involved will negotiate their way to the efficient outcome. ‘Externalities’ are symmetric, he argued: if you claim a right to clean air, you are costing me the opportunity to pollute. Who compensates whom will depend how the property rights are assigned. If you indeed have your clean air right, I will have to bargain with you to pay you for the pollution; if I have the right to produce emissions, you will have to pay me to desist. Coase made it clear he took the existence of transaction costs very seriously, and argued that every situation had to be carefully assessed to determine the most welfare-enhancing course of action. He certainly challenged the market failure framework established by Pigou, still used to consider the rationale for public policy interventions. Coase has often been taken to say more generally that it’s always best to leave it to the market, because people can bargain their way to solutions – and that is certainly the interpretation this volume puts on him, as you would perhaps expect from the IEA. I think one has instead to take Coase at face value, and in each situation look at the incentives people face and the transaction costs involved in private bargaining and in the public sector alike – this determined empiricism is why I like Coase so much. 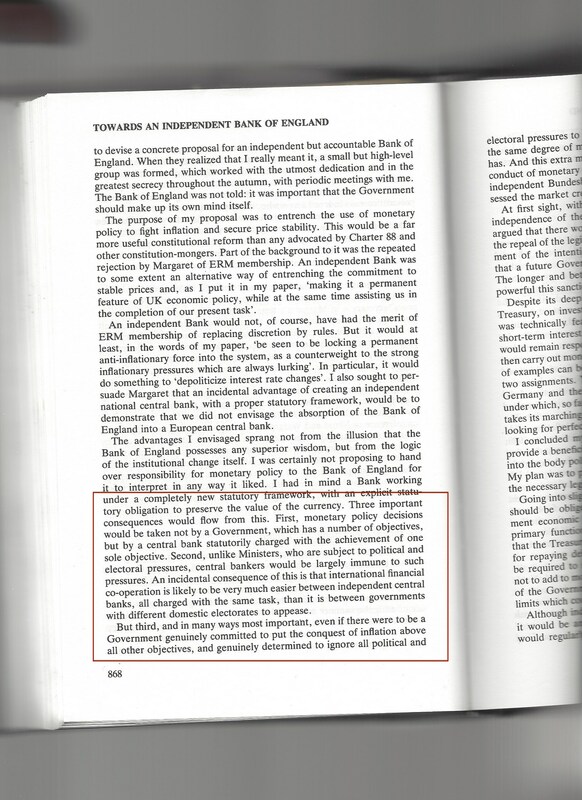 As the essay here by Stephen Davies notes: “The boundaries of what is possible in this regard have shifted over time.” The useful bibliography of Coase’s work shows how seriously he took his own conclusion that you have to look in detail at each industry, its history and specificities before pontificating; as is well known, he described anything else as ‘blackboard economics’. Indeed, the people who arguably took him most seriously were the later Nobel winners, Elinor Ostrom and Oliver Williamson, who each in their won way focused on the detail of the institutions that exist to co-ordinate individual actions. In a nice case study, Davies looks at how turnpike roads – toll roads- were the common means to expand Britain’s main road network in the late 18th and early 19th century. They were an example of club goods – non-rival in consumption, but excludable. Later of course in the UK roads came to be considered a pure public good to be provided by the state. Now we have one toll motorway, and some talk of more. Other countries, including statist France, have many toll roads. There is no right answer. The book ends with a chapter on the sharing economy, a very interesting essay on the implications of a large decline in certain transactions costs. There won’t be much here that is new to people who are already familiar with Coase, but – with the caution about its free market slant – it is a clear and accessible guide for students. And available free online as a pdf.